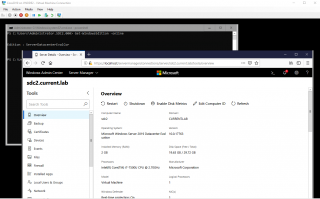 In one of our previous post about Windows 2019, we have seen how easy it was to install and deploy a Windows 2019 core Edition. 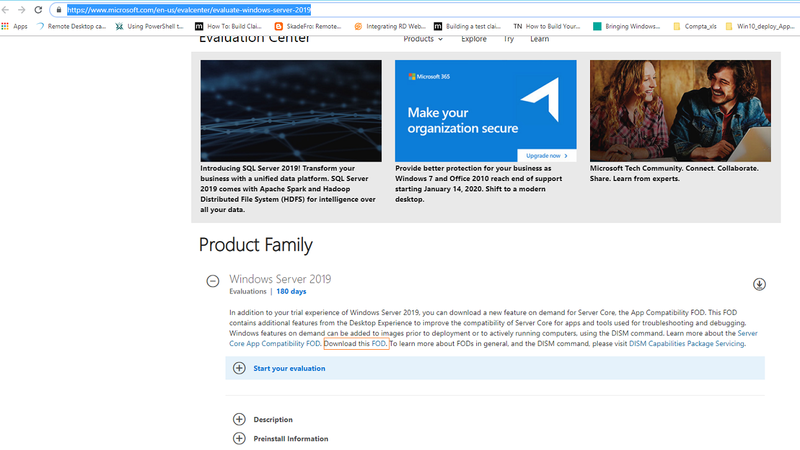 Microsoft seems to put a lot of effort in convincing customers to deploy core servers instead of having servers running a Graphical interface. 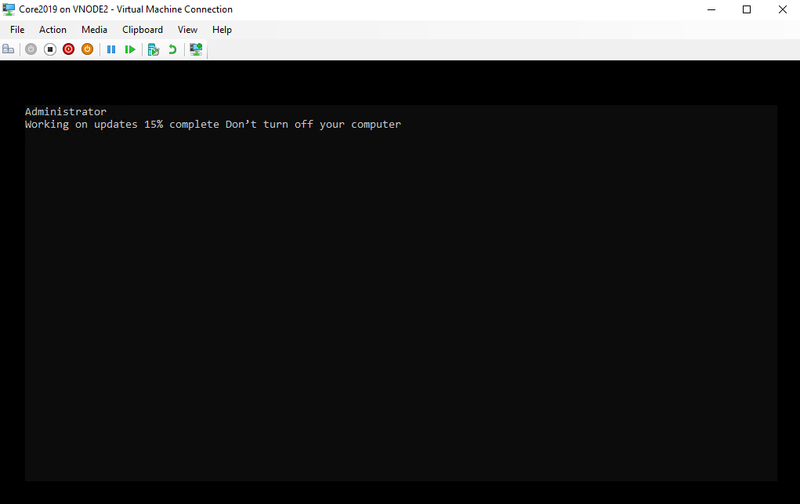 Technically, it kind of make sense to minimize the footprint of an Operating system as this will minimize surface attack and simplify patching process… However, in practice, we have noticed that a lot of sysadmins are simply not comfortable with the command line and a lot of them still rely on GUI. Server Core edition are great solution if you want to reduce footprint of the operating system and if you want to simplify patching process and improve security. 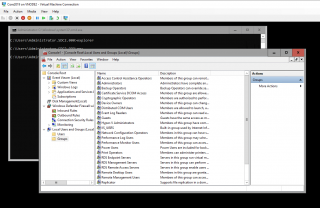 However, lack of Graphical interface makes adoption difficult among “traditional” windows system admins. The sysadmin can indeed perform remote management of a core server using Server Manager or even the new Web based management interface called Windows Admin Center. As long as an admin does not need to locally login into the core server, there is not too much complains. The problem is when there is a need to connect locally on the box and that the known admin tools are simply not available. This is where the sysadmin feels really uncomfortable in managing the Server Core. 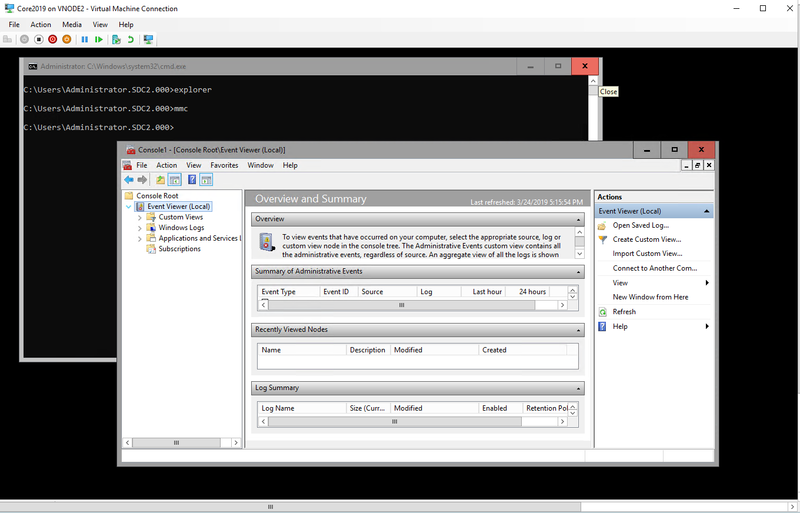 In Windows 2012 edition, there was the possibility to install a minimal GUI interface on top of a core Server edition in order to provide some basic admin tools that could be used by sysadmins when logged on locally on the server. This option (in feature and roles) does not exists anymore in Windows 2019. However, you can re-introduce this capability as a Feature on Demand which simply means that you have to download and install some additional software in order to get access to some GUI based tools and applications. 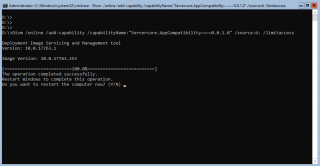 The App Compatbility software Feature on Demand basically will install some additional binaries onto your core server in order to be able to access some GUI-based programs without installing a full Desktop interface. You will arrive on a page similar to this one. 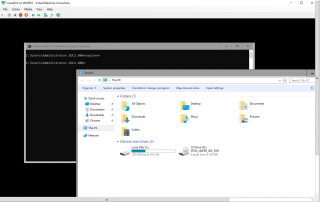 Expanding the Windows 2019 Product family, you will see that there is almost not visible link called FOD that can be used to download the iso file we need. 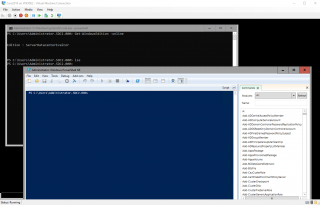 When downloaded, based on your infrastructure, you can either attach the iso into your VM hosting the Server Core Edition or you can copy the iso file inside the operating system and use powershell to mount the iso into your session. 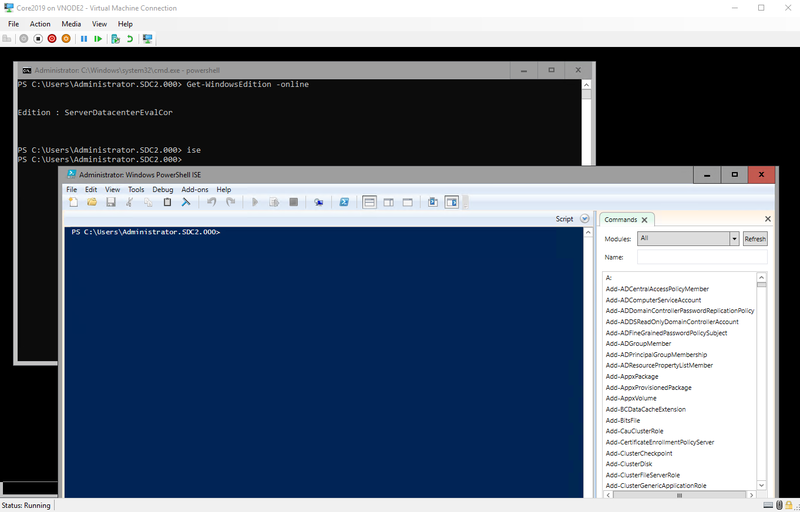 In our setup, we are using VM so we can easily mount the iso file into the virtual machine and make it available within the operation system. 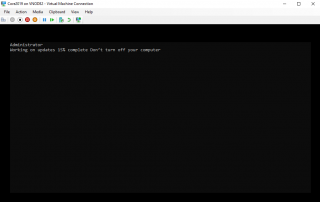 When completed, you can login locally on your system and you can try to launch the file explorer by simply typing the explorer.exe command in the command prompt. Now, you can browse your for files and folders on your Core Server edition. Microsoft seems to be pushing customers to deploy Core Editions of their operating systems. 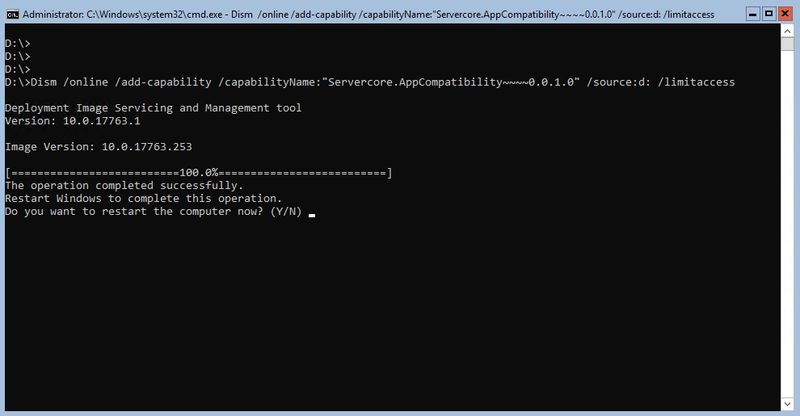 First, more and more products seems to be capable of running on Core Server Edition. One of the recent example would be Exchange 2019 which is officially supported when installed on a Core edition. Microsoft wants to have more and more applications running on top of the Core Edition. 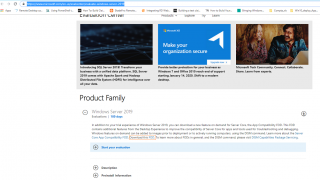 However, some applications such as Sharepoint or even simply the remote desktop services features is not supported on a Core Edition. The Windows Admin Center new web management capability seems also a move to push traditional sysadmin to deploy Core Edition and perform remote administration through pleasing interfaces. 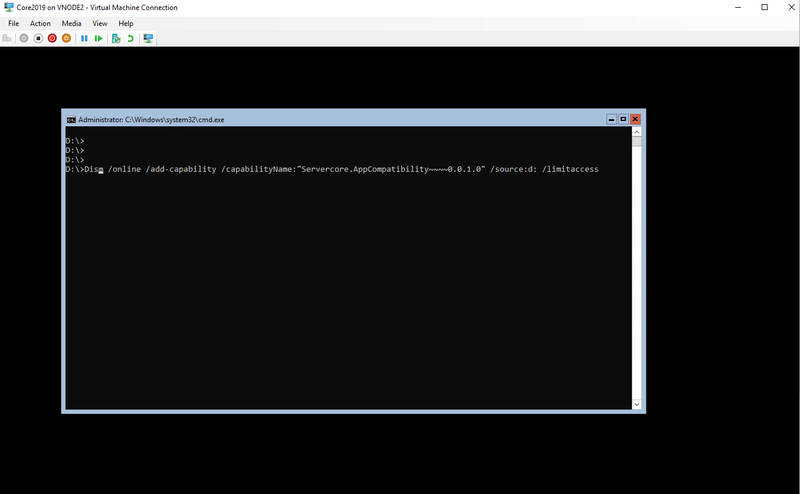 FOD Application Compability might seems a new thing but remember that Windows 2012 R2 had already something similar but was rarely used because a lot of people were deploying operating system with Full GUI capability. 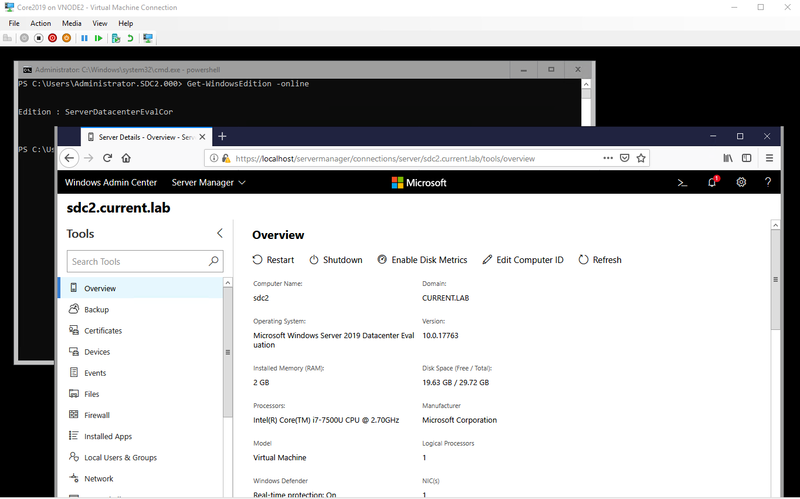 Windows 2019 might be the Operating system that will invert this trend and we might see more and more deployment of Windows Server Core Edition…. as all these small software additions (i.e. 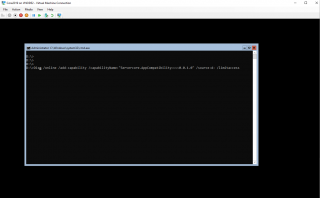 WAC and FOD) can help sysadmins to adopt with less resistance Core Server…..
Hope you enjoyed this post. There is more to come on Windows 2019 Topic..